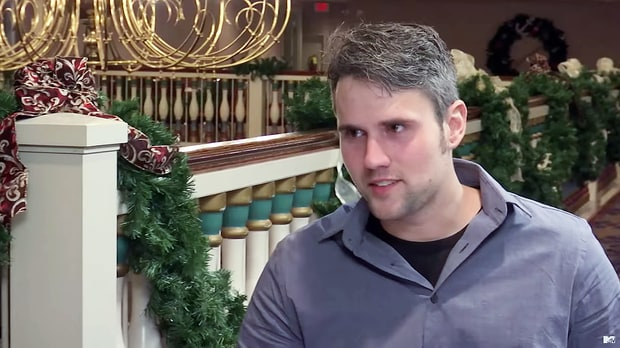 Former Teen Mom Star Ryan Edwards Checked Out Of Rehab Early! Why? After a while of dating each other on the show, Ryan and Mackenzie decided to tie the knot at the beginning of the year. Even though Ryan is not exactly a father material, fans were really excited for the couple to get married. Her ex-was very happy that Ryan found true love. Ryan Edwards first time in Rehab! Former Ryan Edwards is in a severe addiction to Drugs. He revealed about his problem on May 29 on the show. His decision to go for rehab came out when her ex, Bookout revealed his problems. When asked how he was doing, it was told that he is “doing well.”. Ryan came back home from rehab! A little over 30 days ago, I made the decision to check myself into a rehabilitation facility. I am back home now doing well, and life could not be better,” he told to the sources. “Without the support of my wife and parents, I would not have been able to do this. Thank you all for your well wishes.” he added. Along with other Teen Mom stars like Amber, Catelynn, and Chelsea, Mackenzie also is announced her pregnancy. Mackenzie took the pregnancy test and it was positive, she showed it to a producer named Jeni, the couple is really excited about the pregnancy! Ryan’s Wife showing off the baby bump! Ryan entered the rehab again! Ryan and Mackenzie left the show as they want to show her as a recovering addict. Previously he was arrested for the possession of the heroin. His wife was irritated by his spending of $10,000/week on narcotics. But she is worried that he can’t see the baby as he would be in rehab. But he checks out of rehab for a special reason!